Life is all about timing, isn’t it? My body often surprises me with its eerie intuition. One night, without any warning, a sharp pain seared through my right knee. It was severe enough to prevent me from putting any weight on it. I had known for some time that I needed to work on my lower body strength. Due to a reduction of my usual activity from the onset of RA, my muscle tone had slowly diminished, forcing me to find other ways to maintain my fitness. My rheumatologist had recommended quad strengthening exercises to help reduce the pain in my knees, but I was having difficulty executing them without proper instruction. 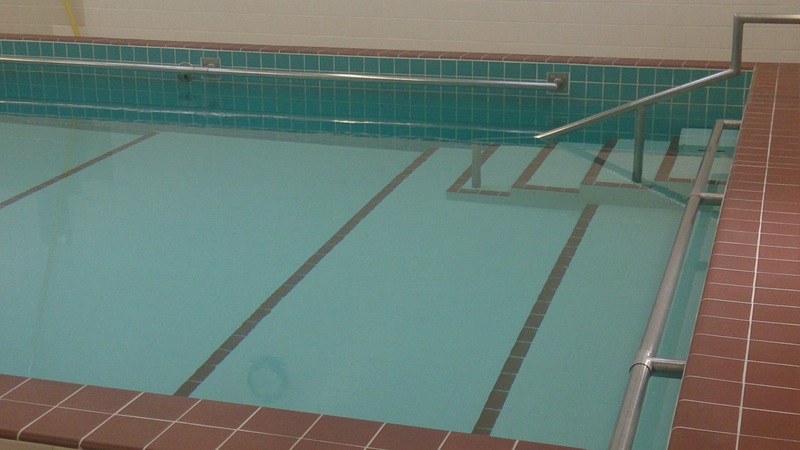 Now my right knee had decided to send me a clear message and it fatefully arrived on the heels of my enrollment for pool classes at the arthritis center to build lower body strength. The instructor was a commanding young man who took control the moment he arrived – first he went over the rules: no one enters the pool without him being present, no attending class with open wounds, if we are ill we stay home and always shower before setting foot in the pool. He showed us the cords to pull in the unlikely event of an emergency and demonstrated the only way to enter and exit the pool to prevent injury – on this he was very clear: his way or the highway. He chatted with the newcomers to understand their particular condition so he could adjust certain exercises for their comfort. Unlike the swimming pool in my complex this pool was shallow, built for us to stand comfortably in the water. I had no idea what to expect in this class. The exercises seemed deceptively mild compared to the grueling workouts of my past. We were guided through simple manoeuvres designed to target our core, hips, lower back and legs. We used pool noodles for balance and did barre exercises that were vaguely reminiscent of ones I used to perform in ballet class. The instructor strode around the perimeter correcting our posture as we swung our arms, kicked our legs, rotated our hips, pedaled, and marched to the smooth music emanating from a distant radio. I was astonished at the intensity of these seemingly basic movements in the buoyancy of the water. I’d been swimming and walking all summer, but I underestimated the pall of RA and was immediately humbled by the fatigue that clouded me a mere 60 minutes after my session. My legs wilted beneath me, and I melted into my couch swathed in an odd mixture of weariness and fulfilment. I still have a lot to learn when it comes to dealing with this disease – there will be days when I feel I can conquer the world, and then there will be days when I am brutally humbled by my infirmity. I have no doubt I will progress over time as my body adjusts to the precise movement of each exercise, but I have been graciously reminded of the titanic power that can be found in the most basic things. Thanks Kev. 🙂 I see you’re keeping busy with your blogs. I’m glad you’re continuing to enjoy writing life. Stay well. Well, you know I’m thrilled to hear that you’ve entered the land (sea?) of the water-logged. I’ve been a water-baby well before RA took hold of me 37 yrs. ago. Although I’ve had to adapt my strokes, swimming has kept me mobile and in some sort of shape. I hope you’ll continue and make this a life-long practice. Good luck with your knees, hips, arms…. Thanks 🙂 I usually spend most of my summer swimming which is why it was such a surprise that this seemingly simple class wore me out. I admit, I am more the water baby in the warmer months – in the colder months, I like the comfort of yoga in my cozy apartment or a warm studio 🙂 But I should make an effort to swim all year. Hope all is well with you. Cheers.